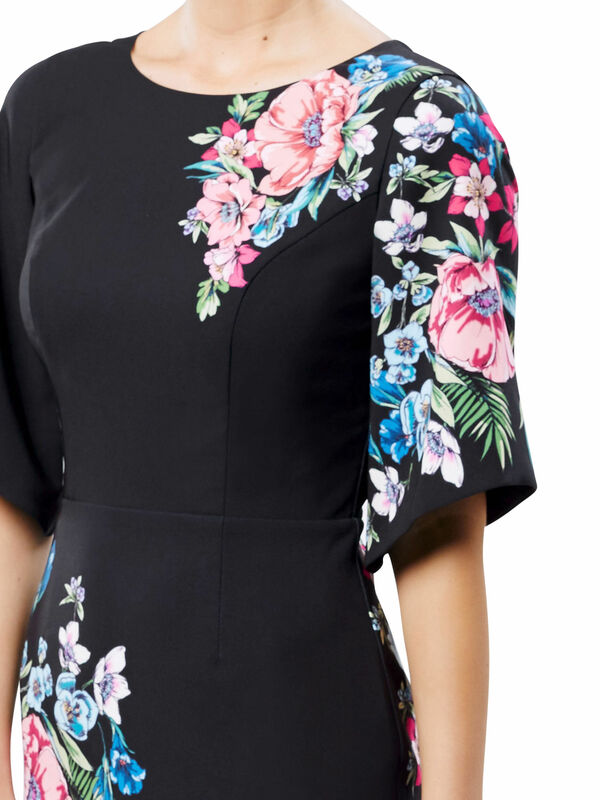 The Great Escape Dress https://www.review-australia.com/au/the-great-escape-dress-black/RE18DR227.REBLK055.html Lose yourself in a chic floral fantasy with the Great Escape Dress. In a stretch neoprene fabrication with a painterly floral print, it has a structured pencil fit and a wide sleeve. A bright lip and statement heel will complete the elegant ensemble. Worn with the Darcy Pump/Heel in Black. Lose yourself in a chic floral fantasy with the Great Escape Dress. 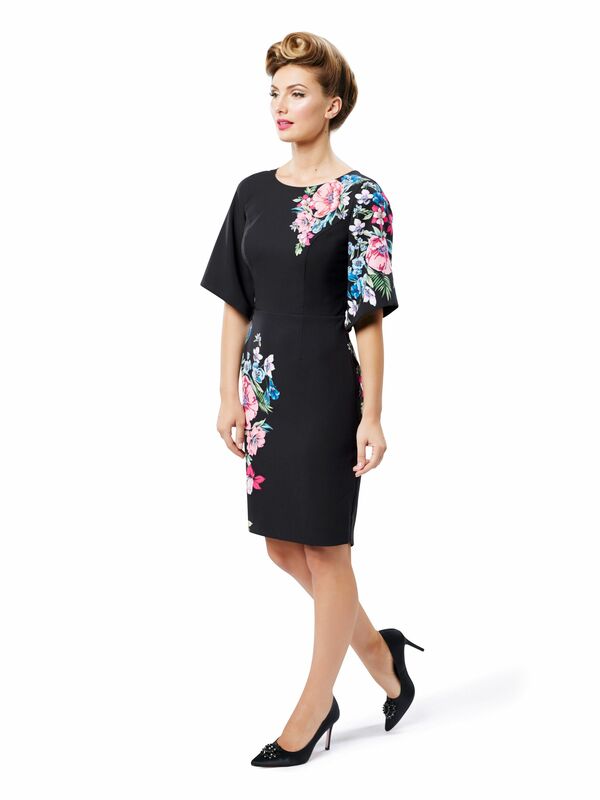 In a stretch neoprene fabrication with a painterly floral print, it has a structured pencil fit and a wide sleeve. A bright lip and statement heel will complete the elegant ensemble. Worn with the Darcy Pump/Heel in Black. The Great Escape Dress is rated 5.0 out of 5 by 7. Rated 5 out of 5 by Helen71 from Glamorous dress, you'll turn heads! I bought this dress because the moment I put it on I felt a million dollars! I wore it to work and spent the day receiving compliments, and telling everyone where I bought it. I love the sleeves, and the dramatic look of the dress. Rated 5 out of 5 by JennT from Classy and Elegant Dress I bought this dress a few months ago. It’s a lovely material and print. The fabric is so comfortable to wear. Perfect for the evening and with a blazer I have worn for work. Glad I bought this dress. Rated 5 out of 5 by Katharine from Fabulous dress I bought this dress last week and really make me feel happy. I can wear it to work , to meet friend and to go out for dinner. The flowers pattern looks great on me. Rated 5 out of 5 by Lisa1970 from Love the style I love this dress and have purchased it 3 times as I have lost weight and gone from a size 12 to a size 6, but had to have this dress. Rated 5 out of 5 by Elly from Classic Style I love that this dress is designed in such a classic style. It is a very flattering fit and is made true to size.